Rhodiola is a tonic herb native to the cold harsh climates of Siberia, Tibet, Northeast China and Mongolia, where drinking strong decoctions of the root tea has been consumed for centuries to help acclimate to high mountainous altitudes as well as sustain high energy levels needed for living in these environments. Today this herbal root, taken as a decocted tea and/or encapsulated or powdered hot water extract, is distinctly famous for its ability to decrease the secretion of cortisol, otherwise known as the "stress hormone". It is in fact one of the top herbal adjuncts, along with a health-promoting diet and lifestyle, for relieving daily stress and anxiety. 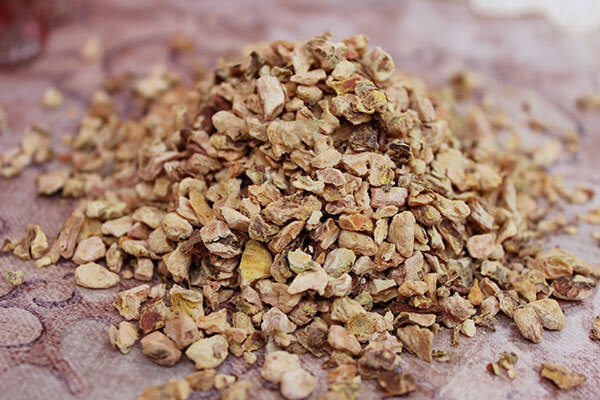 Helpful as a nourishing restorative tonic herb for issues like adrenal fatigue, it has also been shown to effectively alleviate conditions such as insomnia and depression. In addition, rhodiola benefits as an revitalizing energizer and brain tonic, well documented for its capacity to increase mental alertness and concentration skills. 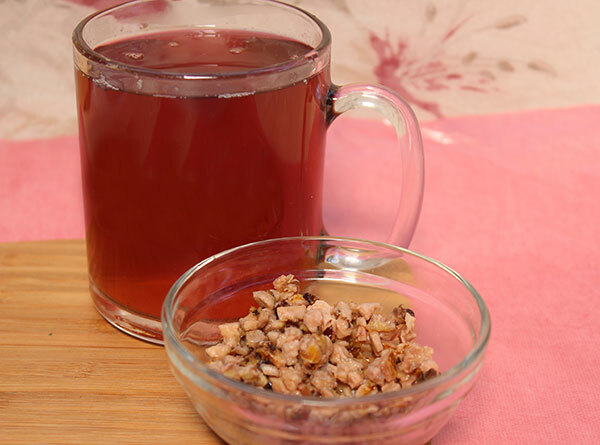 It is an often recommended top natural stimulant and nourishing tea for overworked individuals or those who sit at a desk or do computer work for extended periods of time. 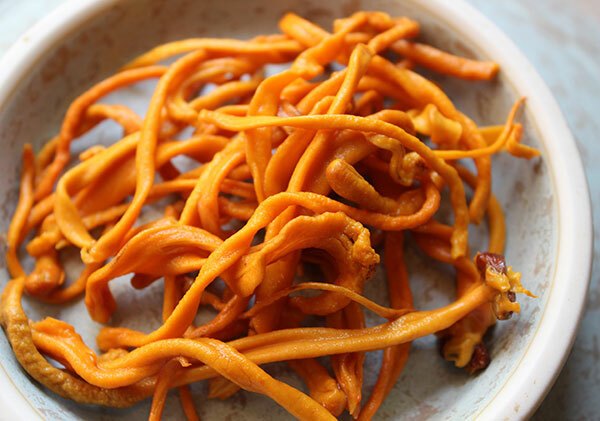 In Traditional Chinese Medicine the root, known as hong jing tian, is specifically used as a Chinese herb for restoring "Chi" (Qi) as well as tonifying the lungs and heart. 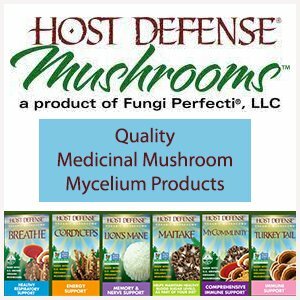 It is considered a strong immune system modulator, often compared to ginseng. The genus Rhodiola grows wild all over the world in subarctic and alpine climates of the Northern Hemisphere, including areas of Canada, Alaska, the North Eastern United States, in addition to Iceland and the Scandinavian countries Norway, Sweden and Finland. There are a few primary species harvested or cultivated for herbal use, usually either North American, Chinese or Tibetan rhodiola. 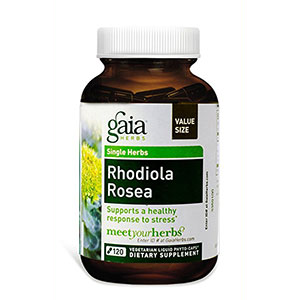 The two most common species used today as an herbal supplement are Rhodiola rosea and Rhodiola sacra. The root of the plant is the specific part used and although wild varieties are thought to be more medicinally potent than cultivated roots, generally they offer very similar properties. Both include primary constituents like the active ingredients salidroside, rosavin, rosin and rosarin as well as various terpenoids, flavonoids, phenols, proanthocyanidins, anthraquinone, quercetin and other alkaloids. Because of the growing popularity of this tonic herb, over-harvesting in the U.S. and other countries has led to its classification as an endangered plant species. 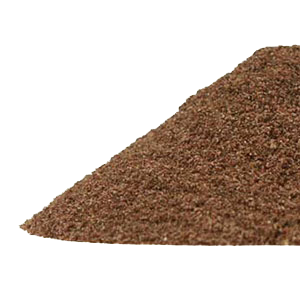 Currently, cultivated organically grown Rhodiola rosea or sustainably harvested Rhodiola sacra is a better option to protect endangered rhodiola species growing in wild habitats. The name Rhodiola rosea, one of the top species consumed, is also called "roseroot" and is derived from the Greek word "rhodon" meaning "rose", most likely making reference to the rose-like aroma when the roots are decocted as a tea. The plant itself also has petal-shaped radiating leaves that form a similar pattern to that of a rose flower. The pleasant floral scent that the rhodiola rhizome exudes comes from a volatile oil that gives it a unique fragrance and flavor. The rosy pink colored tea also tastes somewhat like rose petals. Rhodiola is a perennial flowering plant related to the ornamental genus called Sedum, both of which come from the same family Crassulaceae. Growing as a small shrub with thick roots and several succulent stems coming our of the same root system, it can reach height between 1-13 inches (5-35 cm). 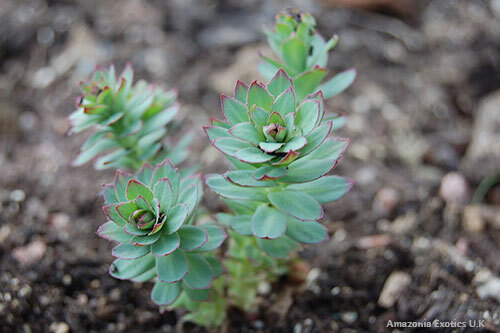 Preferring sandy rocky soils, it is also known as "stonecrop." 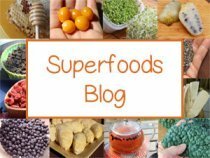 Interestingly, many powerful superfoods like rhodiola as well as maca root are extremely hardy plants, adapting to adverse environmental conditions and dry barren soils. There are approximately 90 rhodiola species, 30 of which are found in Tibet and 55 belonging to regions of China. Rhodiola sacra or Rhodiola crenulata are two Himalayan species specific to Northeast China, Siberia, Bhutan and Tibet and can grow over 14,000 feet above sea level. Rhodiola rosea is considered to be a native Siberian variety, although it grows in other parts of the world. 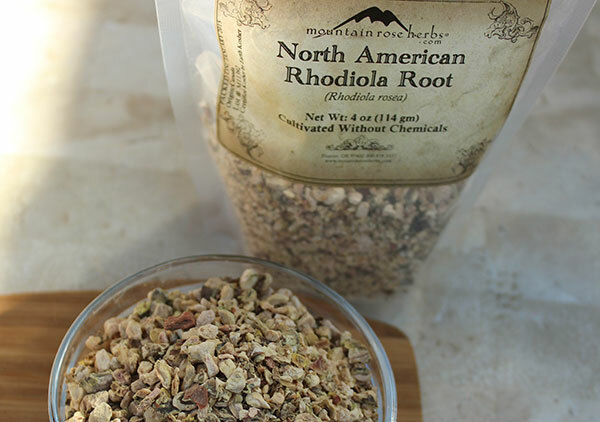 Rhodiola integrifolia and Rhodiola rhodantha, as well as Rhodiola rosea, are the most common species growing throughout North American climates in parts of the U.S., especially Alaska, southern Vermont and eastern Maine, in addition to Nova Scotia and other locations in Canada. 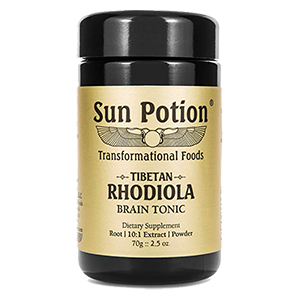 Rhodiola benefits have been used in herbal folk medicine for over a thousand years with the first documented use appearing in China and Tibet, where they considered it a superior tonic and life-prolonging, wisdom enhancing herb. 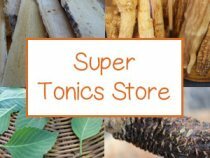 The root has a long history of traditional herbal use by the people of Russian and Scandinavian descent as well as ancient Asian cultures of China, Mongolia and Tibet. 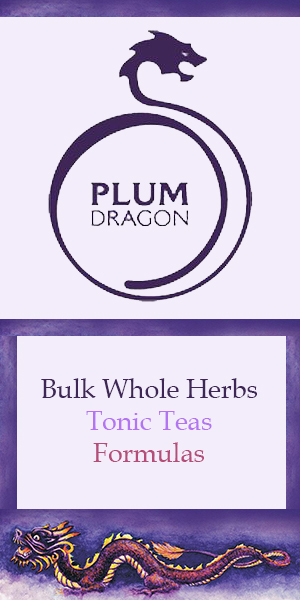 According to Ron Teeguarden, "This incredible herb was used by the Tibetan monks to enhance their inner spiritual power, the power of concentration and physical endurance. It has undoubtedly played a major role in the development of Tibetan culture." Indigenous cultures of Siberia were known to secretly guard rhodiola’s harvesting and preparation techniques, which were commonly shared only among family members. It was well valued in the Caucasian Mountain regions where it was used as a monetary exchange and traded for other goods like honey and wine. 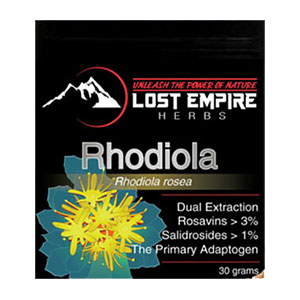 Rhodiola benefits the body as an adaptogenic substance with a normalizing effect on the endocrine and immune functions, regulating either the underactivity or hyperfunctioning of the organs and glands. 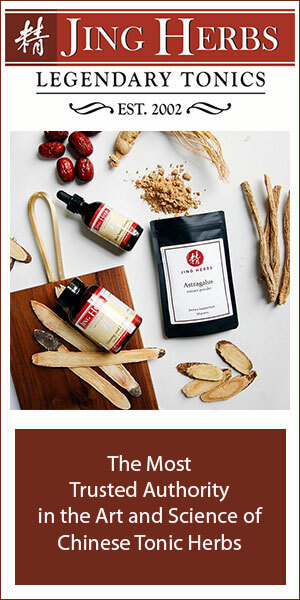 Adaptogens, like rhodiola as well as many of the Ayurvedic rasayana herbs and major Chinese tonics, like fo-ti, ashwagandha, astragalus, tulsi and ginseng, help us to "adapt" and naturally increase our resistance to everyday stress factors and chronic anxiety. 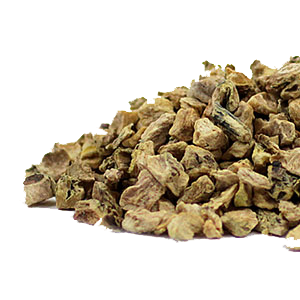 Rhodiola, or hong jing tian in Chinese medicine, is known to replenish Chi (Qi), clear the lungs, nourish the heart, fortify the spleen, boost mental acuity and has calming effects on the central nervous system. 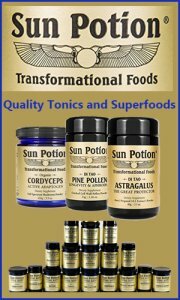 It is an often recommended herbal supplement for those who suffer from general weakness, adrenal exhaustion or are recovering from paralysis caused by a stroke. Since the 1960's, there have been many published research studies investigating the effects of rhodiola benefits as an adaptogen. 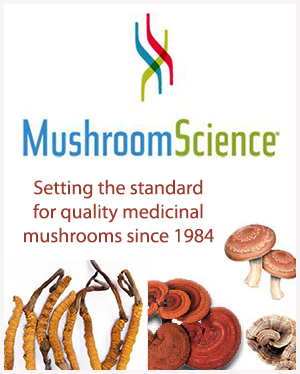 One of the leading Russian researchers was Dr. Zakir Ramazanov, president of the National Biosciences Corporation. Ramazanov was one of the first to introduce Siberian rhodiola to the Western marketplace and was a major contributor to the book entitled "The Rhodiola Revolution." The protective effects of Rhodiola rosea are believed to be associated with an increase in the levels of opioid peptides. Opioid peptides are short sequences of amino acids that attach to opioid receptors in the brain. Having an opiate-like effect, they play an important role in bodily response to pain, trauma and stress. 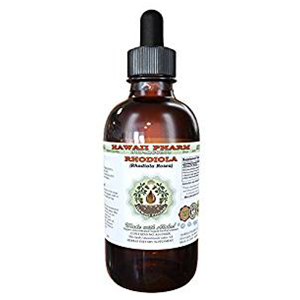 Other components involved in rhodiola's restorative effects on the adrenal system are the active salidroside compounds that act as an anxiolytic to inhibit anxiety. 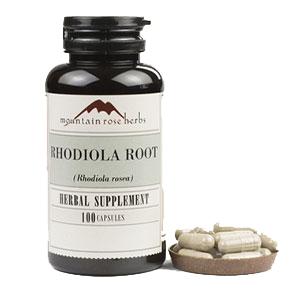 Rhodiola benefits the body as one of the best anti-aging herbs by relieving the impact of stress and the damaging consequences it can have on the biological systems over an extended period of time. Cortisol, known as the "stress hormone", is the body's corticosteroid hormonal response to stress and is secreted by the adrenal glands. When we experience constant physical and emotional stress, excessive amounts of cortisol can not only have an adverse effect on the nervous system, but also metabolic and cardiovascular functions. Along with, of course, a health promoting diet, regular exercise and relaxation techniques, rhodiola supplementation can be additionally helpful for maintaining healthy cortisol levels by inhibiting unnecessary cortisol production, which can impede mental capacity and clear thinking. According to a 2009 double-blind study examining the effects of Rhodiola rosea in the treatment of subjects with stress-related fatigue, it was confirmed that "Post-treatment cortisol responses to awakening stress were significantly different in the treatment group compared with the control group. It is concluded that repeated administration of R. rosea extract exerts an anti-fatigue effect that increases mental performance, particularly the ability to concentrate, and decreases cortisol response to awakening stress in burnout patients with fatigue syndrome." 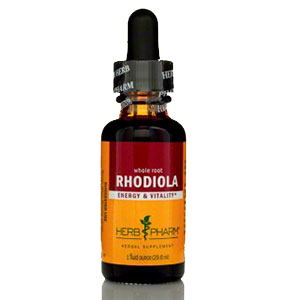 Rhodiola has been shown to have cardioprotective effects on the heart. In one study examining the effects of stress-induced cardiac damage it was established that "the antistressor and cardioprotective effects of Rhodiola rosea are associated with limited adrenergic effect on the heart." Rhodiola benefits also promote monoamine neurotransmitter activity, enhancing levels of serotonin, dopamine and norepinephrine in the brain which helps to uplift mood. Monoamines regulate cognitive processes and are known to help in the treatment of psychiatric disorders, including depression, anxiety and schizophrenia. 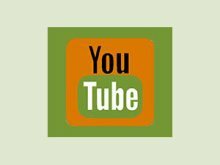 It is helpful for increasing our ability to analyze, evaluate, plan as well as remember and is a top tonic root tea or extract for those who work long hours behind a computer screen or at a desk, improving one's capacity to concentrate and focus. It has often been used in Tibet as an herbal adjunct to meditation as it allows for focused mental states and also improves respiration. 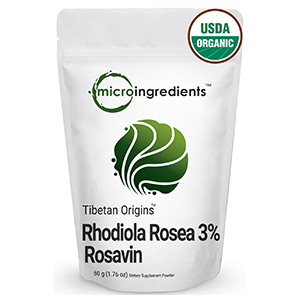 Two active ingredients found in Rhodiola rosea root are the compounds salidroside and rosavin. These are the primary elements believed to be responsible for its actions as a natural antidepressant and anxiety reliever. In a 2007 study published in Phytotherapy Research entitled "Adaptogenic and Central Nervous System Effects of Single Doses of 3% Rosavin and 1% Salidroside Rhodiola rosea L. Extract", the results showed that "R. rosea extract significantly induced antidepressant-like, adaptogenic, anxiolytic-like and stimulating effects in mice." In another study documented in the Nordic Journal of Psychiatry it was concluded "that the standardized rhodiola extract shows anti-depressive potency in patients with mild to moderate depression when administered in dosages of either 340 or 680 mg/day over a 6-week period." 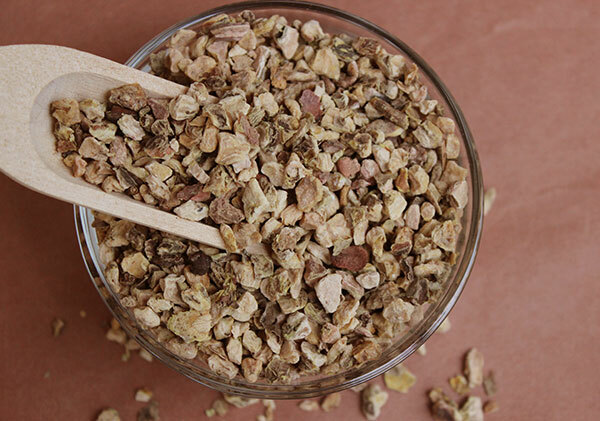 Rhodiola benefits as an energizing tonic, similar to schizandra and cordyceps, and can be of particular use as an herbal supplement to those involved in regular physical workouts, athletic activities or professional sports. 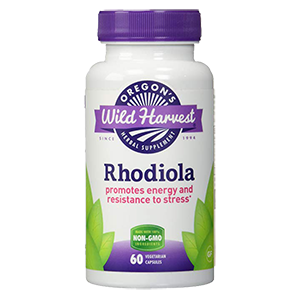 Helping to enhance oxygen utilization and physical endurance as well as decrease recovery time after exercise, rhodiola has been shown in various studies to improve resistance to high intensity exercise and physical exertion. It is often an ingredient in energizing herbal formulas along with other energy adaptogens like astragalus, ashwagandha and ginseng. 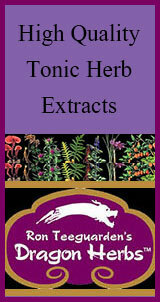 These herbs work together for overall increased effectiveness. According to a study published in The Journal of Sports Medicine and Physical Fitness, "Rhodiola rosea supplementation is able to reduce both lactate levels and parameters of skeletal muscle damage after an exhaustive exercise session." Moreover, rhodiola supplementation was documented in the same study to improve fatty acid consumption and may also help to increase the body's adaptogenic ability for physical exercise. In other research documented in the International Journal of Sports Nutrition and Exercise Metabolism it states that, "Acute Rhodiola rosea intake can improve endurance exercise capacity in young healthy volunteers." 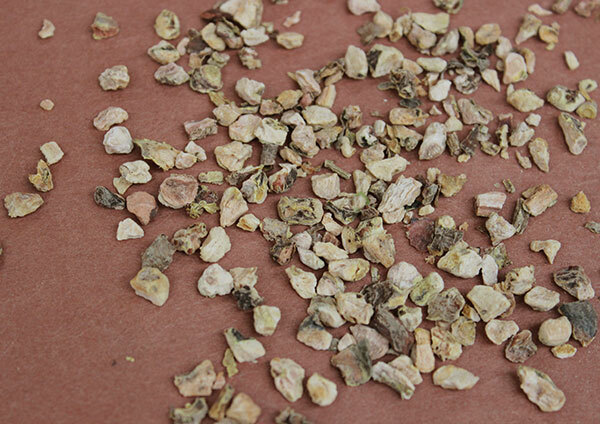 Dried bulk rhodiola root pieces or powder can be used to make tea decoctions or alcohol tinctures. 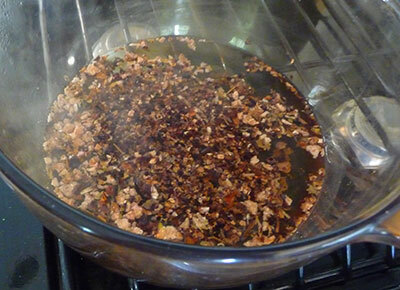 To extract the beneficial compounds in the root you do need to simmer it in hot water for at least 20-30 minutes or likewise soak it in an alcohol menstruum for 2 weeks or longer. 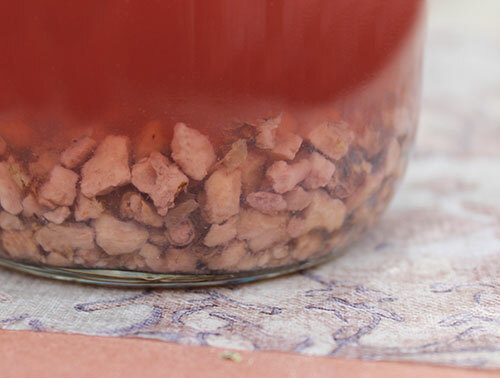 The rosy pink tea has a wonderful pleasant rose-like aroma and flavor but with a slightly bitter overtone. 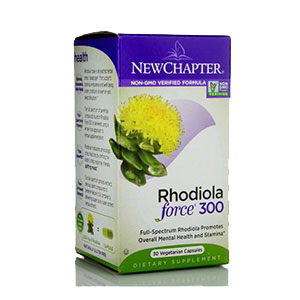 Rhodiola extracts, capsules or herbal formulations are also available from a variety of quality suppliers listed on the left side column of this page. We highly recommend Dragon Herbs Super Pill #1 which includes Duanwood reishi fruiting body, goji berries, gynostemma leaf and Tibetan rhodiola root. 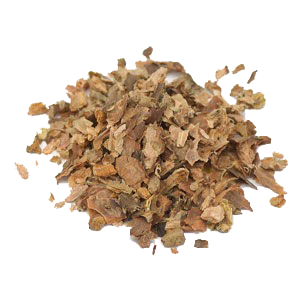 Rhodiola rosea is considered a very safe tonic to use for extended periods of time with no toxic side effects. It is always important, however, to consult your physician if you have a serious medical condition or are taking prescription medications.